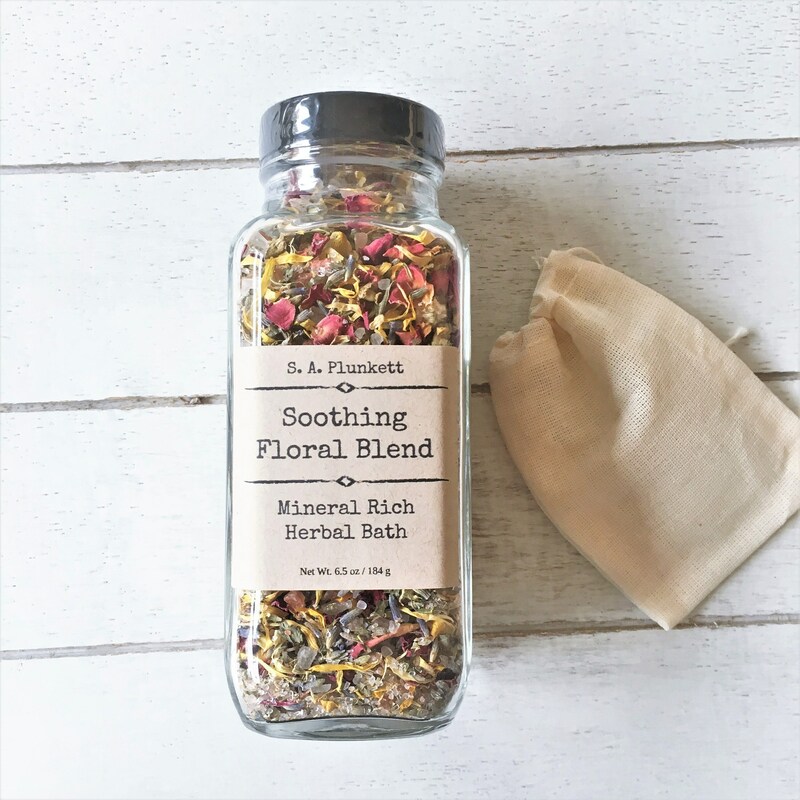 This mineral rich, herbal bath soak will help enhance the soothing and cleansing effects of your bathing experience. 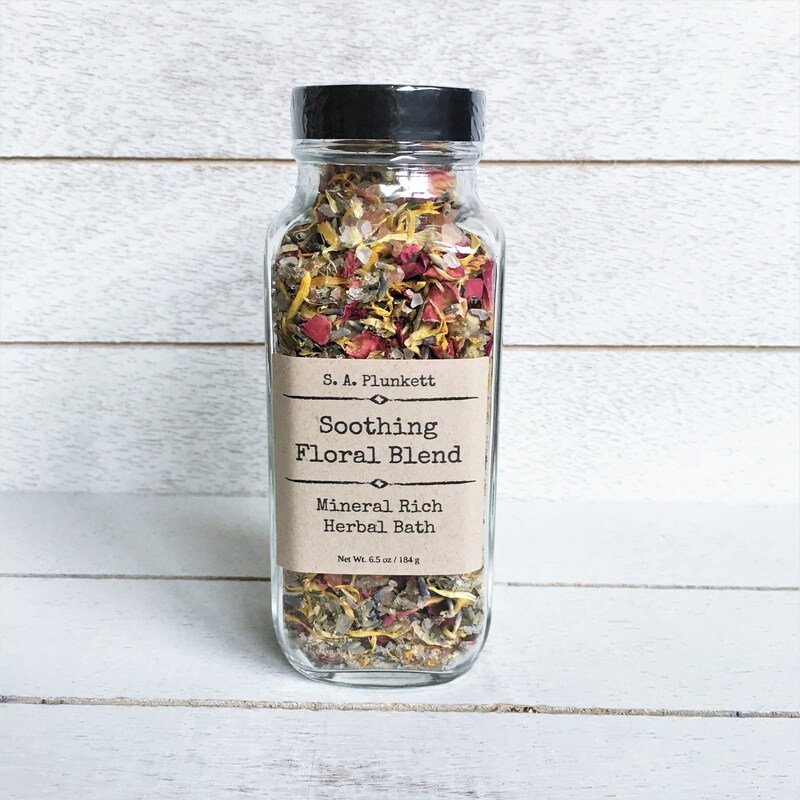 Formulated with gentle and nourishing, organic herbs along with mineral rich salts, you will experience a light floral/herbal aroma as you relax in the bath and soak up the many benefits of the mineral-rich salts and gentle herbs. 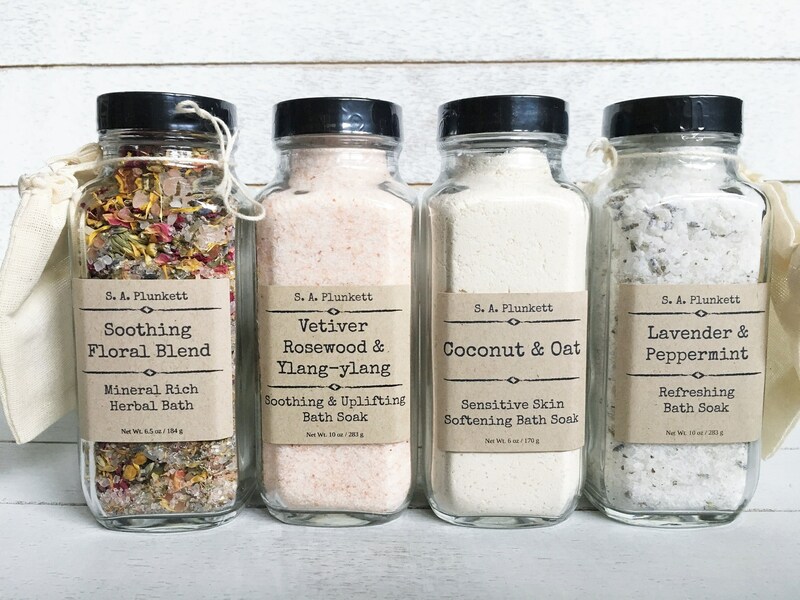 - Contains no Added fragrance, colors, or preservatives. 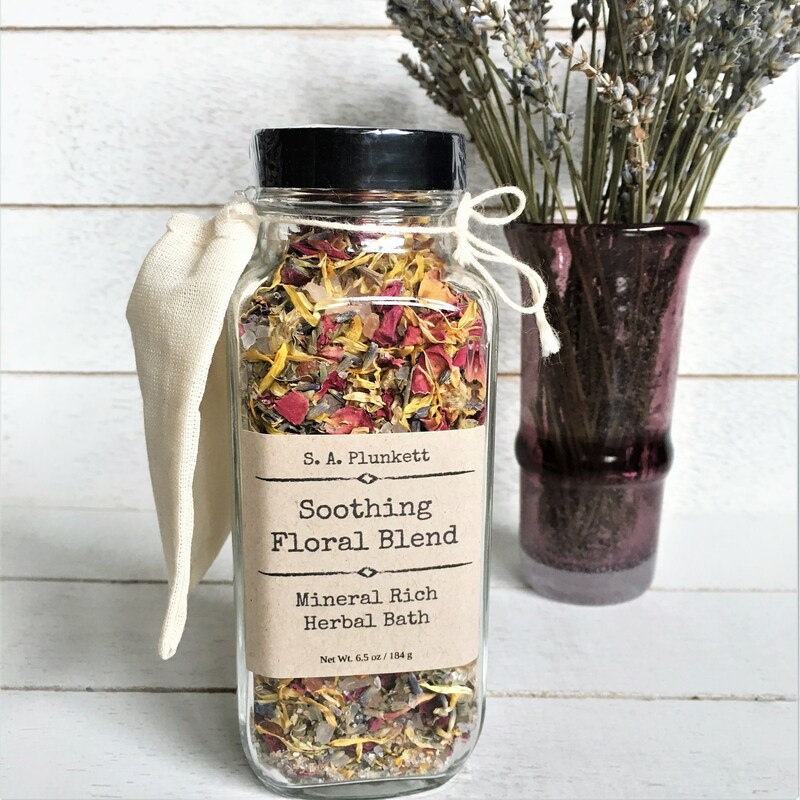 Organic Lavandula angustifolia (Lavender) flowers – Soothing and calming to skin and senses, high in antioxidants. Organic Calendula officinalis (Calendula) – Gentle, soothing, and restorative, high in antioxidants. 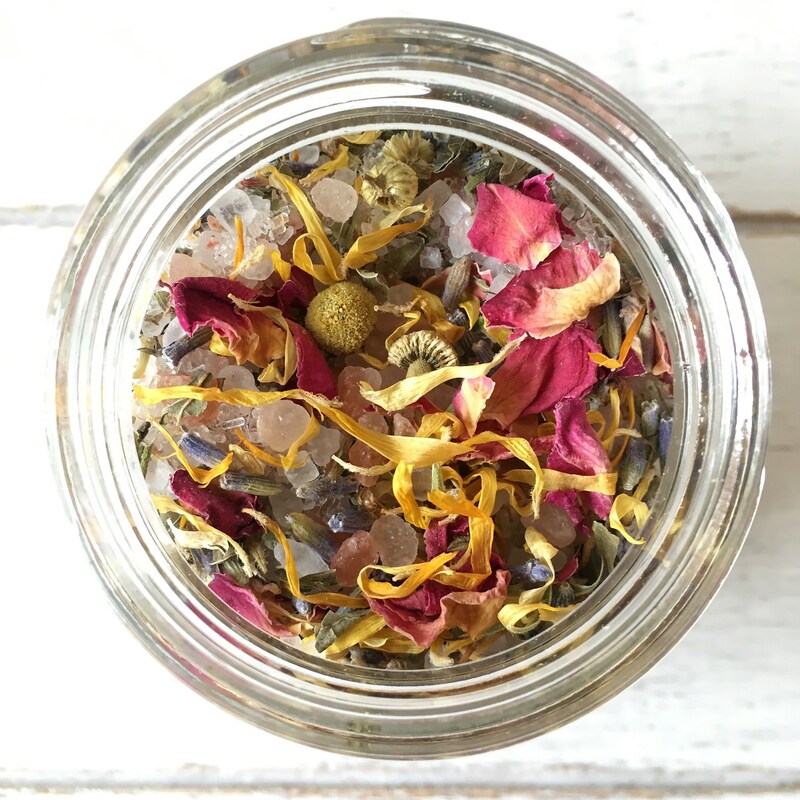 Directions for Use: Sprinkle a handful or two under warm, running water and allow salts to dissolve and herbs to steep. Alternatively, add to muslin bag and place bag in warm bath water. Avoid allowing water to enter the jar, as this can lead to spoilage.